Leap-Sources | Barranquilla or Bust! Contemplating an international move? Wondering how to make it all happen? Worried more by what you don’t know than by what you do? Follow the old “look before you leap” adage by checking out the pages below. 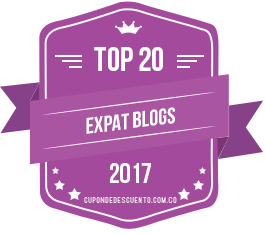 Get the latest on what to expect and how to prepare from people who’ve “been there, done that.” There’s no substitute for the knowledge you’ll find in these blog sites and online groups for expats and nomads. Already made the move? Be a love, and help some others! These media clips provide helpful information on everything from managing your taxes to figuring out what that weird fruit is that you keep seeing on the street. 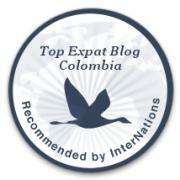 Thinking of moving to Colombia? Wondering about visas, cédulas, menajes, and other bureaucratic hoo-ha? Learn tips that will save you both time and money. And avoid learning them the hard way. Want to explore the possibility of teaching English in Barranquilla? Get info about the schools with strong bilingual programs. Click on their links to learn more. Are there websites or other resources that have been particularly helpful to you? Please share them using the Comments section below, or by contacting me at courtenay@courtenaystrickland.com or 305-918-9682. Thank you! We’re planning to live in Barranquilla and wonder if the internet is good among other things. Do you still live there? My work is very internet dependent. Please tell me all you can. Hi there! My husband and I now live in Medellin; we moved from Barranquilla to Medellin in July 2014. As for internet in Barranquilla, it is pretty good if you pay for the absolute top-of-the-line available. I can speak to this because my husband and I both work remotely (he as a software developer and I as an independent consultant to NGOs in the US and as a writer). Because of the nature of our work, we actually doubled-up on internet – we had Claro cable internet and Metrotel (I think that was the name of it… something like that) DSL. The reason for this was partly that there were internet outages on occasion, and so if one went out, we just switched to the other, and partly because if the power went out — which it sometimes does there — the Claro would also go out because of the way that it was hooked into the building. The DSL would stay on even if the electricity left. With this system, we were pretty much good to go. My husband still has an office there using the Claro only, and it’s rare that they have issues. I will say that the speeds advertised by the companies were not always that for us, perhaps because we were always going to US sites. Also, for reasons that I don’t understand, YouTube videos and uploading were incredibly slow (this was not just us… other expats attested to that too… but it did appear limited to YouTube… we watched countless movies and TV shows online). Also just be aware that unless you have a proxy, some content will be restricted simply because you are not in the US. That doesn’t happen that often, though. Hope this helps!